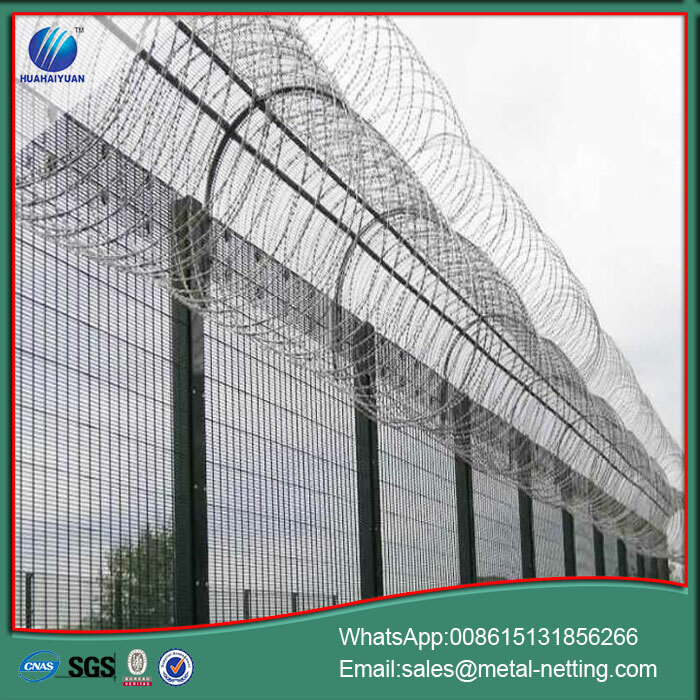 The security fence has double bars at every mesh to guarantee high rigidity. The robust bars provide an excellent degree of security protecting against unwanted intrusion and trespass and offers a greater degree of protection against cut-through. 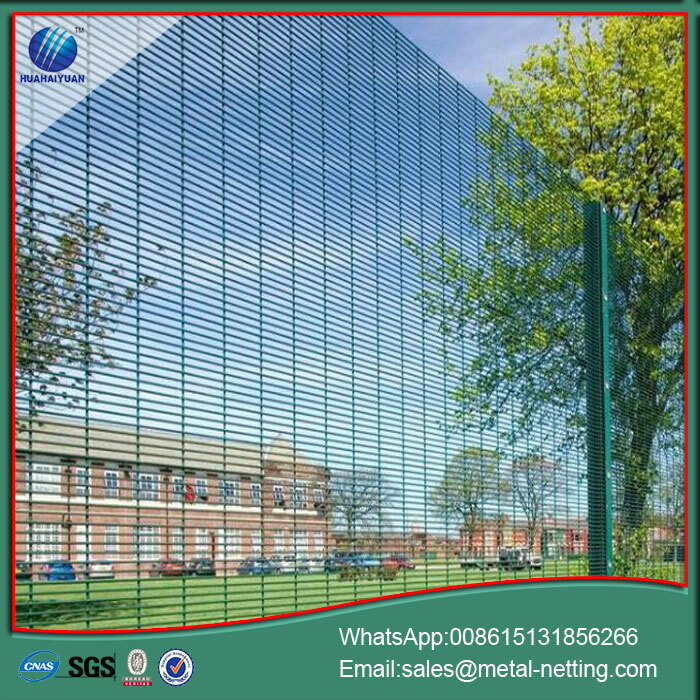 Plastic coated welded mesh panels guarantee long life of the fence. 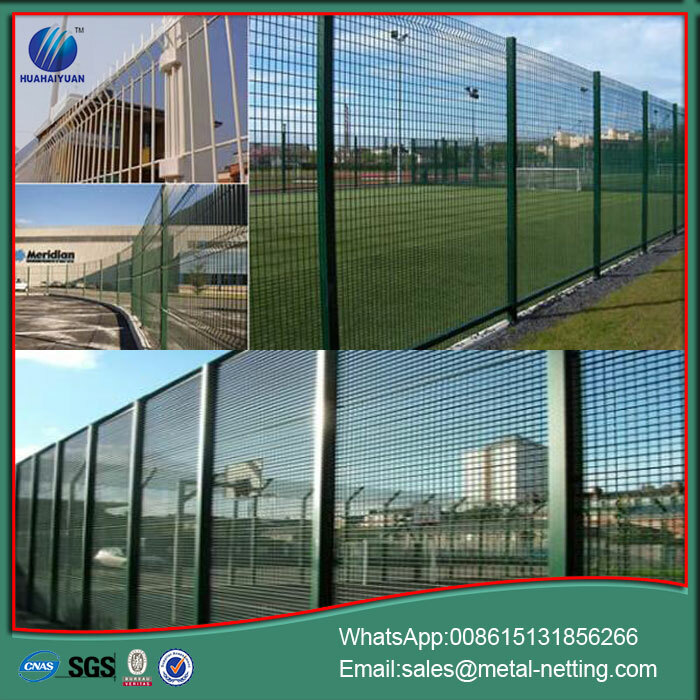 The security fence provides excellent visual appearance, which is ideal for play area. Vertical wires: 5mm diameter at 50mm centre. We can be required for other specifications. Other specifications are manufactured according to customers` requirements. 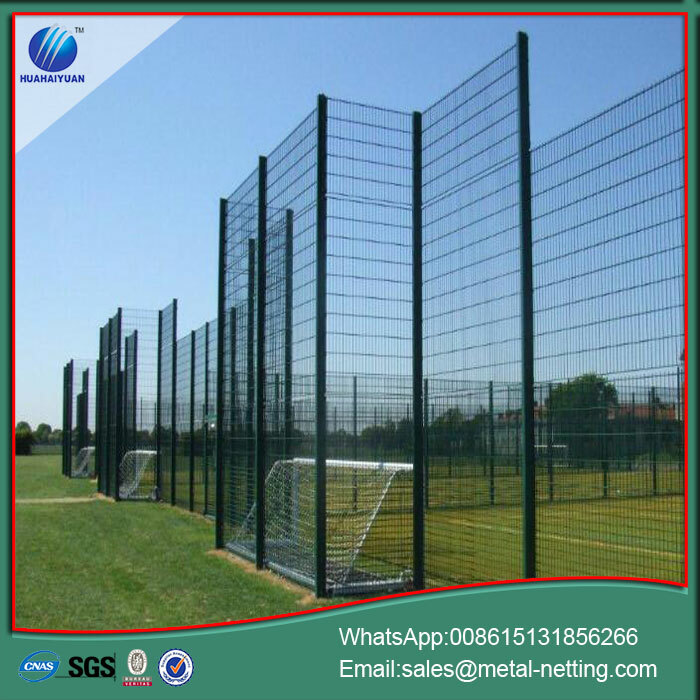 Used for schools, play areas, general game area, basket ball courts, football pitches, urban sport areas, business parks, retail parks, public areas, industrial sites. Looking for ideal Razor Security Fence Manufacturer & supplier ? We have a wide selection at great prices to help you get creative. 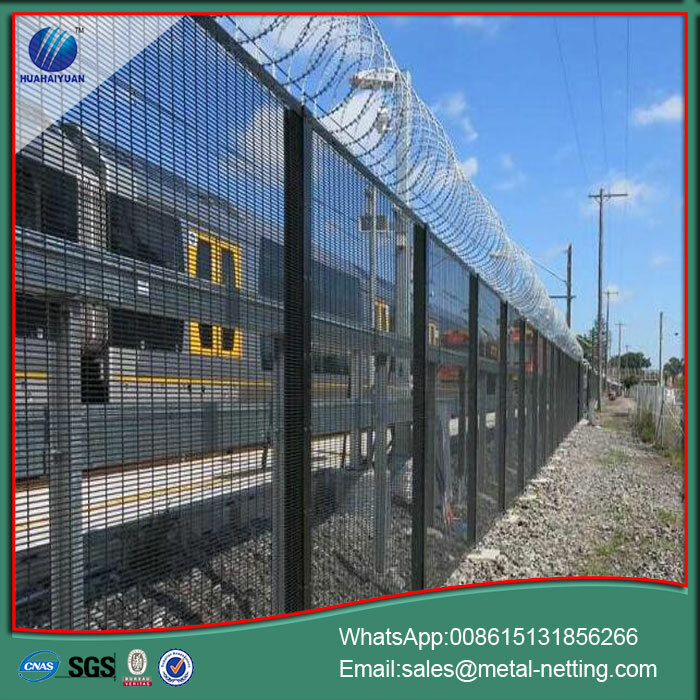 All the 358 Prison Welded Fence are quality guaranteed. 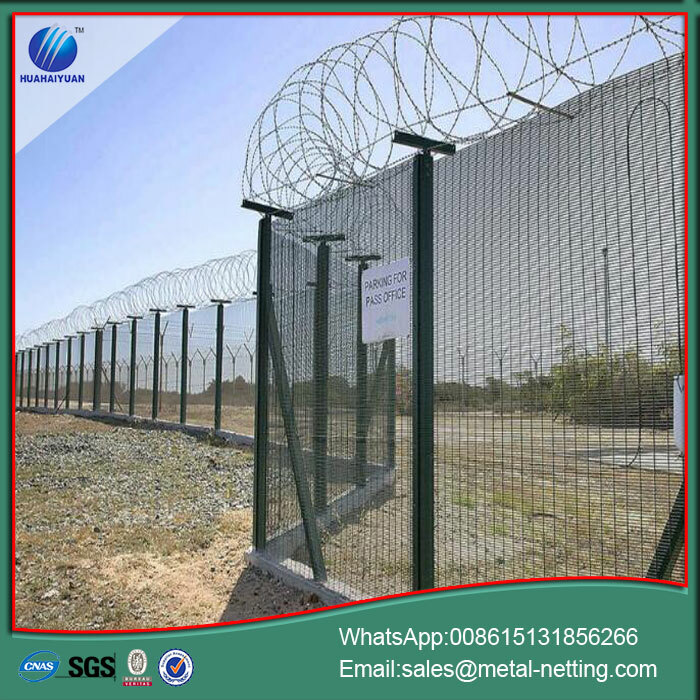 We are China Origin Factory of Military Border Fence. If you have any question, please feel free to contact us.